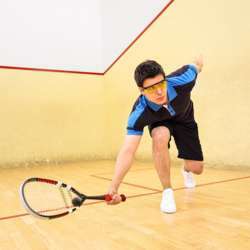 You must be a member of the Cologne Squash Group to attend this activity. Would you like to join this group? From beginner to advanced players, everyone is welcome! We are going to meet at Protected content and are free to have a drink in the bar afterwards. Rackets can be rented at the venue. Please note the following CANCELLATION POLICY: Because Protected content only allows cancellations 48 hours before an event starts, you need to cancel your attendance 2 days in advance. If you cancel later and there are no players to take your place, or you do not show up, you have to get in touch with the organizer to arrange the payment of your share. If you refuse to do so, you will be blacklisted from the group as per Internations private activity policy. Thanks for your understanding. If you have any questions, feel free to get in touch with me.